I enjoy lighting candles around the house. I think smells can both invigorate and relax people. There are studies that show a difference in neurological activity based on certain smells and how they are received by the olfactory system. Can you tell I'm a teacher? Anyways, a couple years ago I stumbled upon a candle brand that was so inexpensive yet the scent was strong and it lasted. These candles rivaled upscale brands you’d find in Neiman Marcus or specialty stores. The brand is DW Home Candles and I’ve only found them at TJ Maxx or Marshalls. I’ve googled them and they have their own site (here) – but who wants to pay full price if you don’t have to? Ya feel me? I will stock up whenever I see them in stores. They have such a wide variety – from clean Aveda-like spa scents to those of a tropical beach with birthday cake. The DW brand also has a line of “masculine” (bogus descriptive word btw) smells like leather and myrrh. I know my one friend LOVES these types of smells they never disappoint. At these stores, every candle is placed on glass displays (usually grouped by scent) but all brands are mixed together. It’s a pretty chaotic scene and I’m usually riddled with anxiety, terrified that I will be THAT person in the store that drops a candle and causes a domino effect of destruction. With all of these candles, it becomes a little tricky to spot them in the masses. For the longest time these candles could be identified by a frosted colored glass with a shiny black top; however, then some other companies tried emulating the frosted glass aesthetic! Sneaky! This seems like an extremely basic tip, but I’ve come home with “fakes” and have been upset when they have basically no scent when lit…useless product and a total waste of money. These candles range in the discounted prices (because its HomeGoods) from $2.99 for the little ones and up to $9.99 for the big ones with three-wicks. This is NOTHING compared to high end candle brands like Diptyque or Nest (which are AMAZING if you have the resources to purchase). 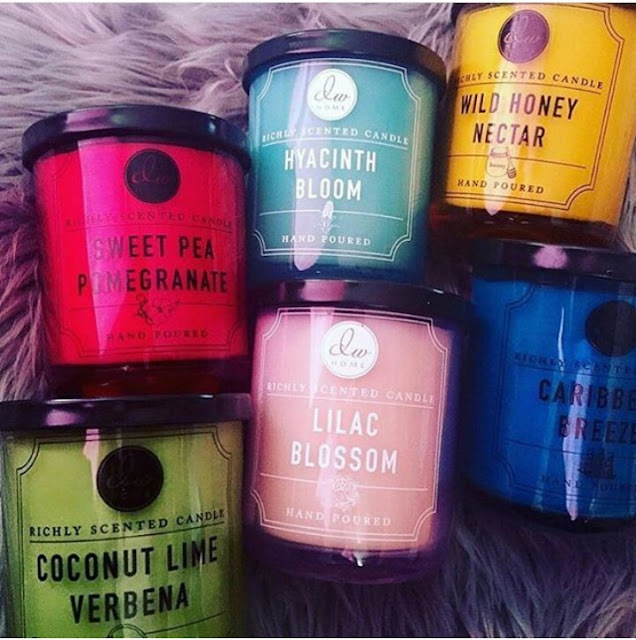 Hell – these are more affordable than the ones from Yankee Candle! I highly suggest checking these candles out the next time you are at your local HomeGoods store. You will not be disappointed! Let me know how your search goes below – also share your favorite scents.